How does a small digital news website and app make money? Every news website or app has a potential to make money. People want to have access to news immediately. Also, the readers nowadays need to stay informed regularly. That’s why more and more people are using their mboile devices for reading the latest news and information. 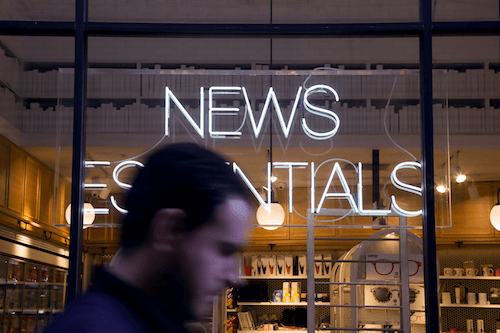 There is a few proven ways to monetize your news content. Idea of affiliate marketing is simple - cooperate with other companies to grow together and makes profits. I can recommend you PressPad Affiliate Program. They’ll pay you with real money for every new business they’ll get through your referrals. They have really clear and simple rules. - You share information about them with your network using the dedicated referral link. Whether it’s an ad on your website, social share or anything else, every people getting through your referral link receive a 15% discount from them and you get 15% from every new deal they get. If you want to know more about PressPad Affiliate Program, read all about it in this article. The native In-article ad is a new ad format that helps you put native ads between the paragraphs of your article, which is visible in your mobile app. - Google Adsense provides a better user experience and helps publishers boost content revenue. Google Ads just help you grow your business and increase the overall ad revenue. Ads are perfectly matched to the look of your content, what makes the great user experience for your readers. This solution is based on full-width ads that are ideal for monetizing the smaller screen spaces available on mobile devices. Responsive ads adapt to screen size and look good also on smartphones without disturbing layout. This is an effective strategy to increase revenue based on restricting access to content via a paid subscription. You should set up paywall also in mobile app. The possibility of individualizing a flexible paywall strategy makes the implementation process easier. Here’s a comprehensive article about paywall - read it before you’ll start. You should read more about above ways, many useful infromation you’ll find on PressPad Blog. I’m sure you will chose solution which is the best for you.